P A C T by kilo . orchard . Pei Jhu K.
Located at the hidden corner on the second floor of Orchard Central, here lies the P A C T by Kilo that we are going to visit right now. 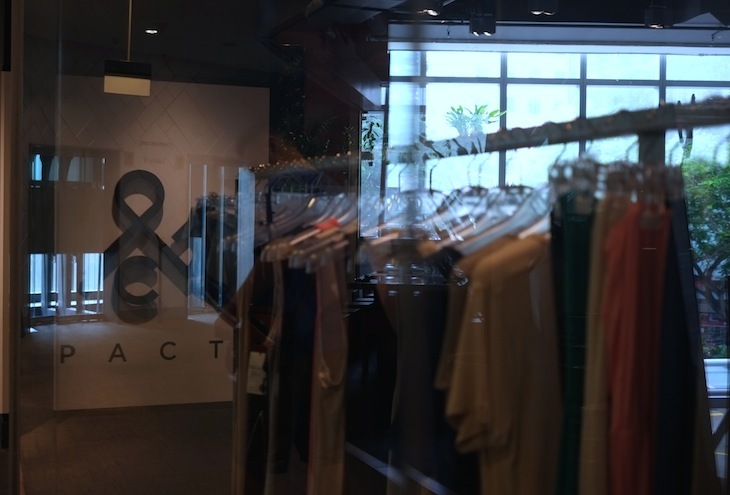 Besides serving the awesome food, it is being run as K.I.N, a thoughtful clothing and lifestyle store which carries beautiful designer's piece, hair salon and nail salon as well. Very zen-inspired interior once we stepped in and hey, the perfect daylight! Minimal table setting that is too neat to complement the French window. Even the name card is so simple but beautiful enough to match the restaurant's brand identity. Brunch is available during weekends only. Our lunch was being served freshly with the first dish, Prawn Flautas. The prawn spring rolls here are very thin with succulent prawns, avocado and other fresh ingredients. Our pick of Donburi Salmon Bowl which is def the right choice made. Donburi is a Japanese 'rice bowl dish' that exists in a variety of toppings. Our spoonful of very delicious steamed Quinoa that has taken the storm of health food in recent years. The best Chocolate Lava Cake I found, until today, in town. It comes with a strawberry too. 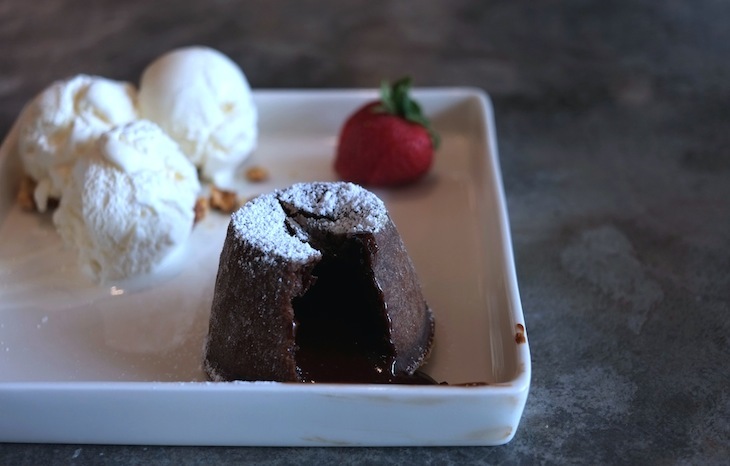 Though at the slightly pricey side, I finally found this Lava Cake that actually melts! Oh love. The way they present their bill to customer, minimally beautiful I'd say. Even the crews are so friendly, they will take initiative to recommend their specialty dishes to you and give their helping hand whenever possible. My companion of the day who is satisfied with our lunch today, despite feeling disappointed that Squid Ink Rice with Prawns is not available in this outlet. Lastly, I'd love to bid this restaurant a warm goodbye at the organic cotton apparel section simply reminds me of my days in the fashion house. It has been three years from now. Gosh. Truly a multifaceted space, putting roof over the common appreciation for honest goods, tasty foods and creative services! 181 Orchard Road, Orchard Central, #02-16/17/18/19 Singapore 238896.